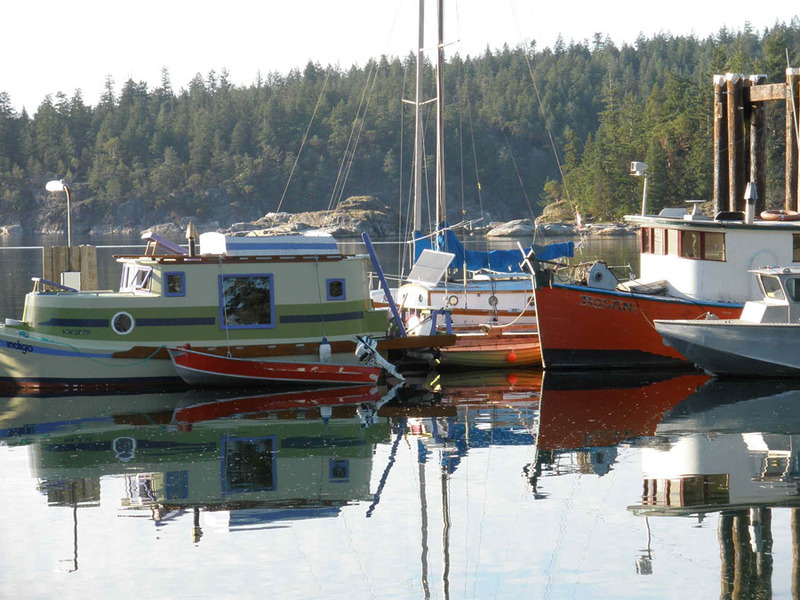 Dorje Ling is located on Cortes Island, in the northern Gulf Islands of British Columbia. It is a beautiful 7-10 hr journey from Vancouver to Cortes Island. If you are coming from Vancouver, take the ferry from Horseshoe Bay to Nanaimo, and then drive or bus north to Campbell River. At Campbell River take the ferry to Quadra Island, then cross Quadra and take another ferry across to Cortes Island (purchase a “throughfare” at Campbell River, which is a round-trip ticket and includes both ferries). From Nanaimo ferry terminal to Campbell River, catch the convenient IslandLink bus (www.islandlinkbus.com – reserve ahead) or take the Greyhound. You can then hitchhike from the Campbell River ferry wharf (ask drivers in the Cortes-bound lineup for a ride). There is also a Cortes Connection mini-van service that runs from Campbell River and back, Mon-Fri, which will take bikes and pets and will drop/pick up right at Dorje Ling (www.cortesconnection.com – reserve ahead). Carpooling is also a good option. Let us know ahead if you are looking for a ride, or are driving and have extra space in your vehicle, and we may be able to connect you with someone to share the ride and costs. Rideshares are often posted on http://www.cortesisland.com. If you are coming from the Sunshine Coast, it is possible to take a water taxi from Lund (foot passengers only), which will deposit you at Cortes Bay very close to Dorje Ling. Cost is split amongst passengers. Contact Lund Water Taxi for details. Dorje Ling is located 18 km from the Whaletown ferry. Drive through Mansons Landing townsite, then turn left on Bartholomew Road (second road past the townsite), then right on Red Granite Road to Oke Road. Follow the red and gold stupa signs and you will find us! If you are hitchhiking from Campbell River or on Cortes, try to get a lift through to Mansons Landing, or to Bartholemew Road. It is about a 45 minute walk from the intersection of Sutil Point Road (the main road through Mansons Landing) and Bartholomew, but likely, you will get another lift all the way to Red Granite Road, which is a 5-minute walk to our door. Food may be purchased at the grocery store or the organic food coop in Mansons Landing. Cortes Island also has a motel, ATM, bike shop and rentals, and several restaurants and B&B’s.